Carlos Mínguez Carrasco is a New York based architect and curator. 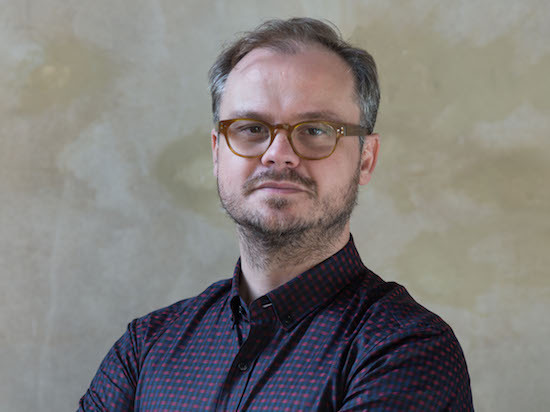 He is Associate Curator at Storefront for Art and Architecture, and Chief Curator of the Oslo Architecture Triennale 2016 with the After Belonging Agency. In 2014 he was Assistant Curator of OfficeUS, the US Pavilion at the 2014 Venice Biennale. Mínguez has organized a wide range of exhibitions, events and competitions with a particular focus on how social, cultural, and political pressing issues influence contemporary architecture, including Interpretations (2010), BEING (2013), Letters to the Mayor (2014-17), and the platform World Wide Storefront (2014). His texts have been published in different magazines and catalogues as Domus, Código, or Migrant Journal. He is coeditor of the publication After Belonging, The Objects, Spaces, and Territories of the Ways We Stay in Transit, and the forthcoming publication OfficeUS Manual. Mínguez has taught at Columbia University GSAPP and lectured in different universities and cultural centers in Europe, the US, and Latin America.